Enjoy country living in this comfortable, solar powered five bedroom home nestled on a 2.3 acre lot with deeded access to the BeeBe river. A spacious kitchen with wrap around counters and an island made of salvaged wood from a bowling alley opens up into the living and dining areas where a beautiful double sided granite fireplace serves as a centerpiece. A new 5 bedroom septic system was installed in 2017! Hardwood floors, a screened in summer room, and a heated basement workshop add to the appeal. 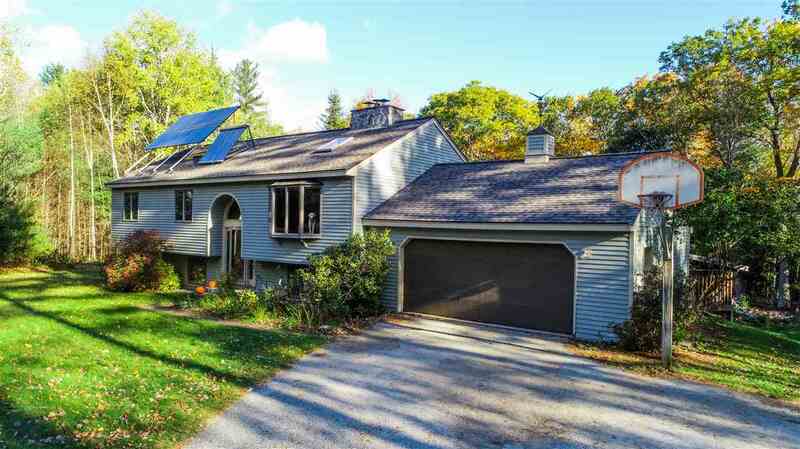 This energy efficient home has a 2.1 KW grid tied solar PV system, solar hot water, and a TARM biomass woodboiler. The back of the home has a large mahogany deck that offers privacy and a great space for entertaining. Mature landscaping includes a dozen high bush blueberry bushes and low bush blueberries throughout the front yard. Only 10 minutes from Plymouth and a short bike ride from the Beebe Conservation Land and its network of hiking/biking trails and swimming holes.